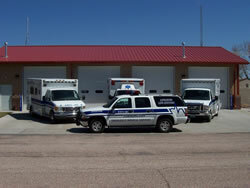 Welcome to the new website for the City of Torrington Emergency Medical Services. We have included the history of Torrington EMS, current staff, billing questions, just to name a few. You can also sign up for CPR and First Aid Training! Feel free to contact us with any questions, comments or feedback under the “contact” tab. Need CPR / First Aid training? We want your feedback. Please fill out our survey to help us serve you better.